As teachers, most of us regularly incorporate technical studies and scales into each student’s lesson. However, I think every student reaches a point in their growth that technical exercises can feel a bit tedious and redundant. I find that students may feel less motivated to practice scales if they can’t immediately see the benefit or the changes in their technical ability. A large number of my current students are middle school age or younger, and I found it to be a bit of a struggle to get them excited about improving their technique. I have previously used a Practice Challenge to help my students learn about efficient practice and to get them excited about dedicating time to their flute, so it seemed logical to take the same approach to scales. In my studio, a “Challenge” often implies a personal journey, rather than a contest between students. I encourage each student to challenge their expectations of themselves, as well as their perception of what they can achieve. In both challenges addressing practice and scales, most students were shocked at how much they could accomplish while actually enjoying the work. Since I felt most of my students needed a crash course on basic scale practice and theory, I made the challenge eight weeks long. 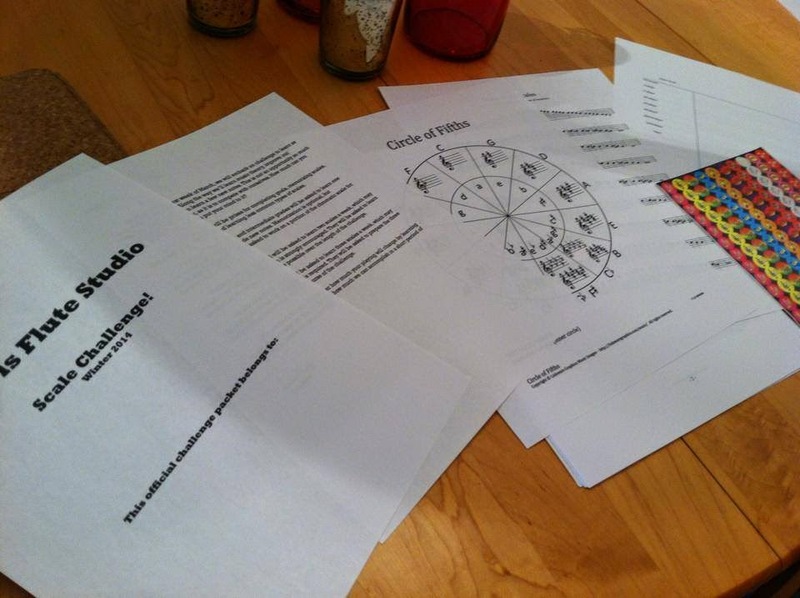 Each student received a packet outlining the expectations (this was determined by age group, and then tailored in each lesson), the circle of fifths, major scales, minor scales, and “unusual” scales like pentatonic, blues, whole tone, etc.. In the back of the packets, I included charts for major scales and minor scales. For the duration of the challenge, the students began each lesson with their scales, and we kept track on their charts which ones they “passed” and memorized. I also had a grab bag of “prizes” that students could choose from each week if they completeld their challenge assignment. These were small items like stickers, erasers, pencils or candy, but they add an extra fun element to all the hard work. As the challenge progressed, I was amazed at the numerous benefits for the students beyond the obvious things I expected. Students who have struggled with completing weekly assignments were coming to lessons fully prepared, sometimes even having done more than they were asked. These types of students were extra motivated by having a chart to mark off each week where they could see their achievements. In addition to providing a learning platform for practice, the challenge motivated everyone to learn new notes (or, in the case of most of the older students, to polish their third register technique). Students became curious about what their friends were achieving and took on a healthy approach to competition, feeling motivated by the knowledge that many of their peers were working ahead. One of the most surprising results of the challenge was a young student who was so shy she would barely speak to me in her first lesson. Although she has been coming out of her shell over the course of the last year, I have struggled with getting her to try new things. 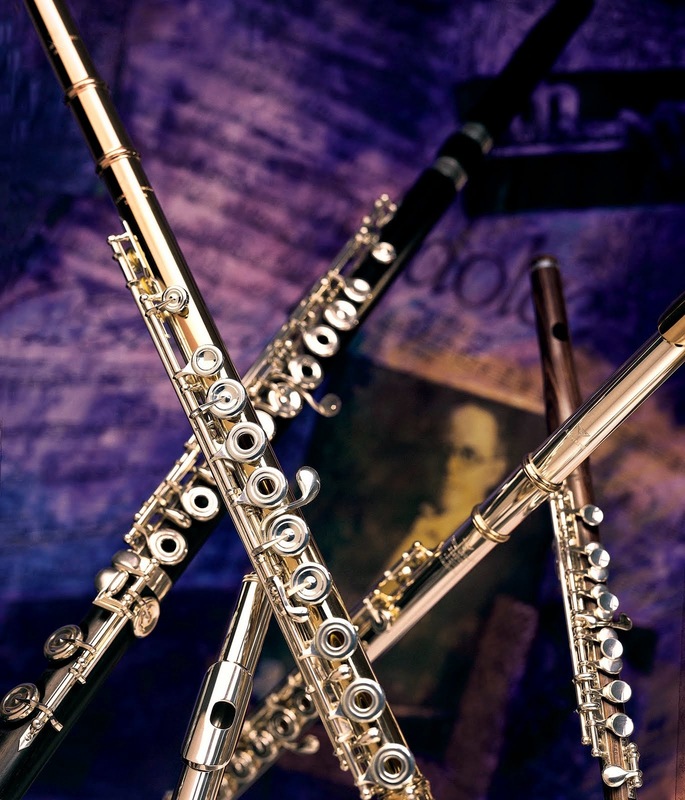 With the motivation of marking off her chart and a weekly “prize”, she took on a whole new approach to flute, genuinely making an effort to learn new notes and change physical elements of her playing, and losing some of her fear of trying new things. Beyond the growth in my students, talking so much about theory in lessons was a wonderful opportunity for me to grow as a teacher. This is a topic we discuss occasionally, but I certainly learned about my teaching as I prepared lessons on theory almost weekly. I look forward to integrating this challenge on a yearly basis, adjusting the requirements as my students technical abilities continue to improve. If you feel it is appropriate, you could implement a variety of metronome and memorization requirements, scales in intervals, and even weekly tests or a final test to pass the challenge. 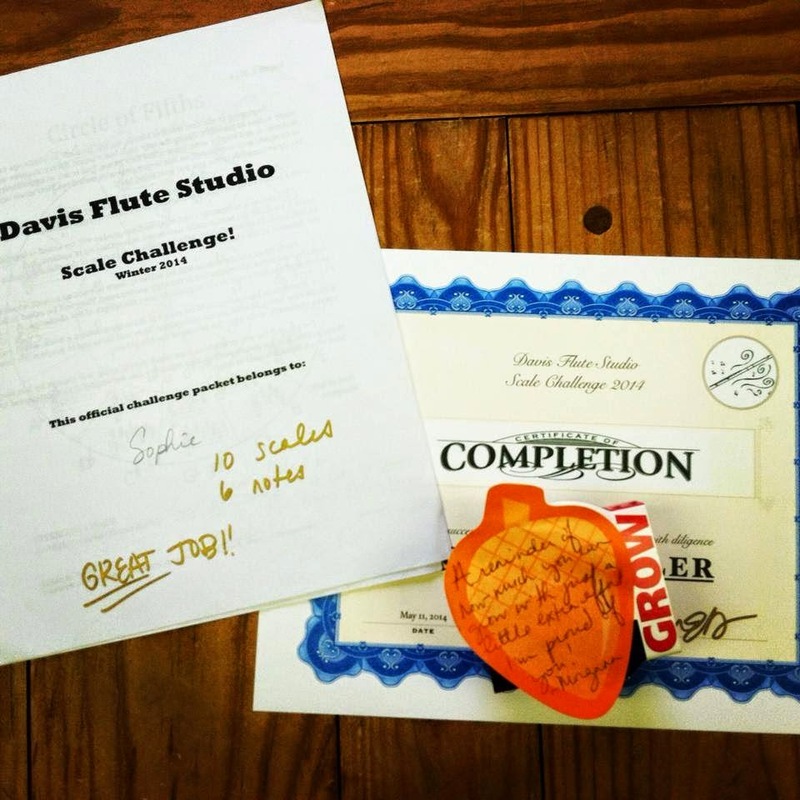 By the time we reached the end of our eight weeks, my studio had learned 141 scales and 54 new notes. Two students memorized everything they did, including one of my youngest, first year students (who learned 9 memorized scales and 14 new notes, having only played the flute since October!). I recognized each student at the end of the challenge with a certificate and small gift, because I believe in encouraging a strong work ethic by acknowledging their willingness to work hard at something new. This activity became much more than a tool for learning scales, but also a motivational tool, a lesson in goal setting and personal expectations, an opportunity for achievement recognition, and a way to learn about healthy competition amongst peers in a supportive environment. After taking a break from intensive scale study for two weeks following the challenge, I even have students asking me when we’ll start learning new scales again!